M.Sc./BS (4 years) in the fields of Geology, Geophysics and Engineering (Geotechnical/Mining/Civil) from the HEC recognized universities with the required division/CGPA as per regulations of the University of Peshawar. M.Sc./BS (4 years) in the fields of Geophysics, Geology, Physics, Mathematics and Engineering (Geotechnical/Mining/Civil) from the HEC recognized universities with the required division/CGPA as per regulations of the University of Peshawar. M.Sc./BS (4 years) in the fields relevant to Earth and Environmental Sciences and Engineering from the HEC recognized universities with the required division/CGPA as per regulations of the University of Peshawar. 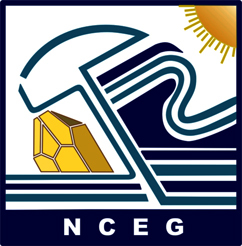 Additional eligibility criteria for admission in NCEG degree programs are as per requirement of the University of Peshawar.